The Hertfordshire Festival of Music is an annual summer celebration of classical music, based in the historic and attractive county town of Hertford during the long, warm days of midsummer. Hertford is just over twenty miles from central London, easy to get to by rail and road but nestled in the beautiful countryside of the Lea Valley. HFoM exists to celebrate and nurture exceptional music-making, featuring some of the world’s finest performers. The Festival also supports professional and young musicians from Hertfordshire, presents fascinating music by living composers and devises major, innovative projects for education and participation. Founded in 2016, the Festival has presented concerts that have inspired extraordinary audience responses to artists such as Tasmin Little OBE, Dame Emma Kirkby, Stephen Hough CBE, the Carducci Quartet, the Galliard Ensemble and The Prince Consort. 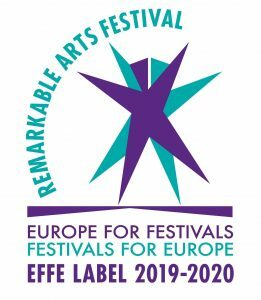 HFoM is fortunate to receive the support of Arts Council England and a number of charitable trusts and foundations, county, district and town councils, while a growing Friends Scheme allows individuals to play an important role in furthering the Festival’s scope and potential.